Bone grafting is usually done in together with dental implant treatment. If a tooth is lost due to trauma, decay or gum/bone disease then an implant may be indicated to replace the missing tooth. A dental implant is basically a fixture that is anchored in the bone and replaces the tooth root. Sometimes if there isn’t enough bone in a certain area it will need to be added. 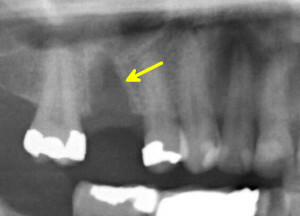 Often times this can be done at the same time the tooth is removed or when the implant is placed.